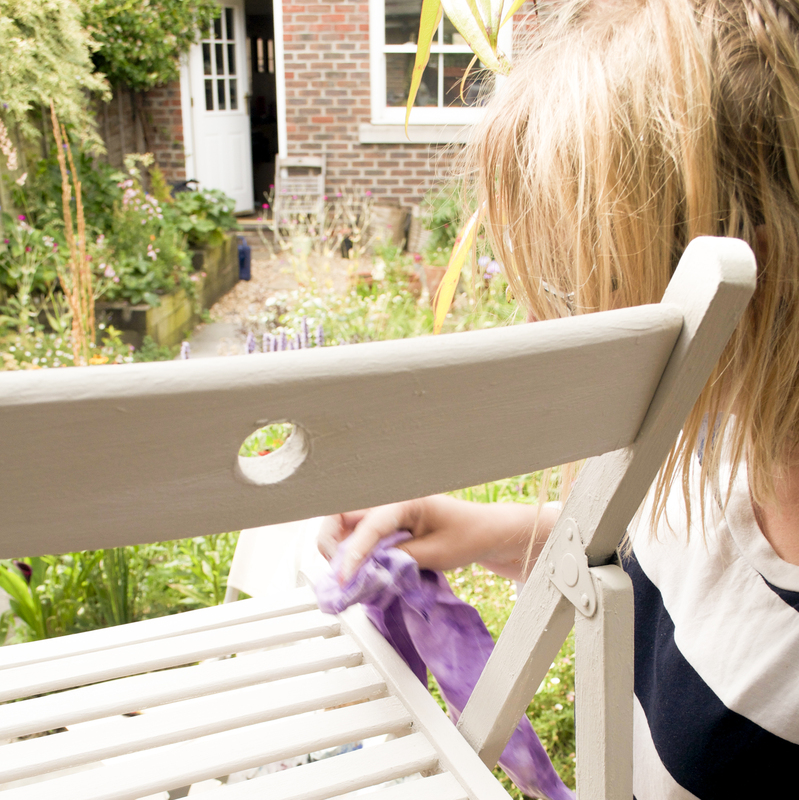 Last Sunday I got to spend time in our little garden while doing some quick garden furniture maintenance. 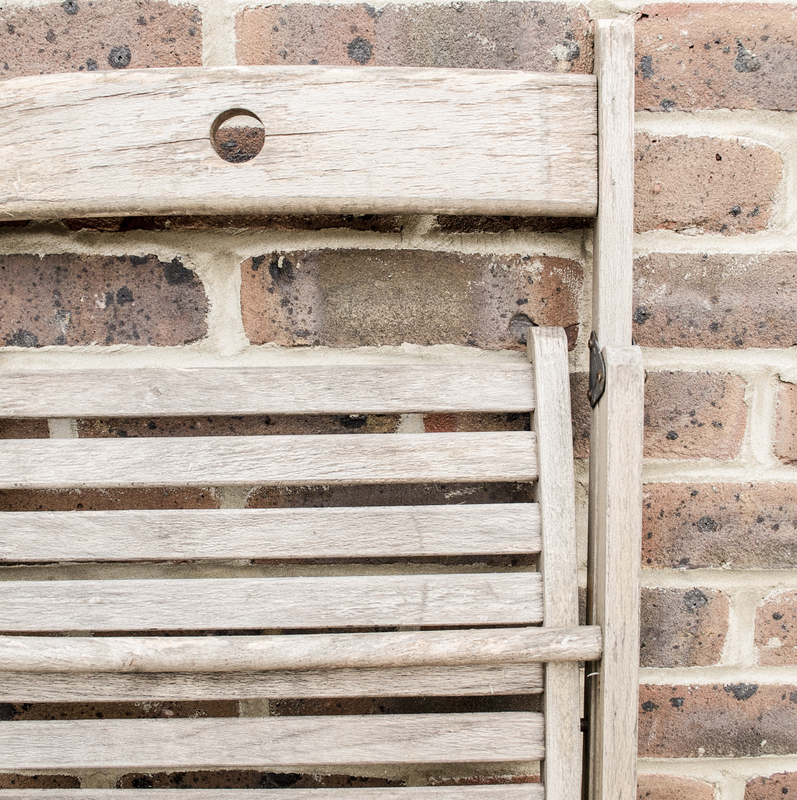 As you can see above, the folding chairs we’ve had for well over a decade have taken the force of some dismal British winters – and summers, for that matter – first on our London balcony and then here in Wivenhoe. Of course we should have moved them indoors when it rained – but when it rained it was rainy, so we didn’t venture outside. In winter we’d forget about them. Surely we’re not the only ones! 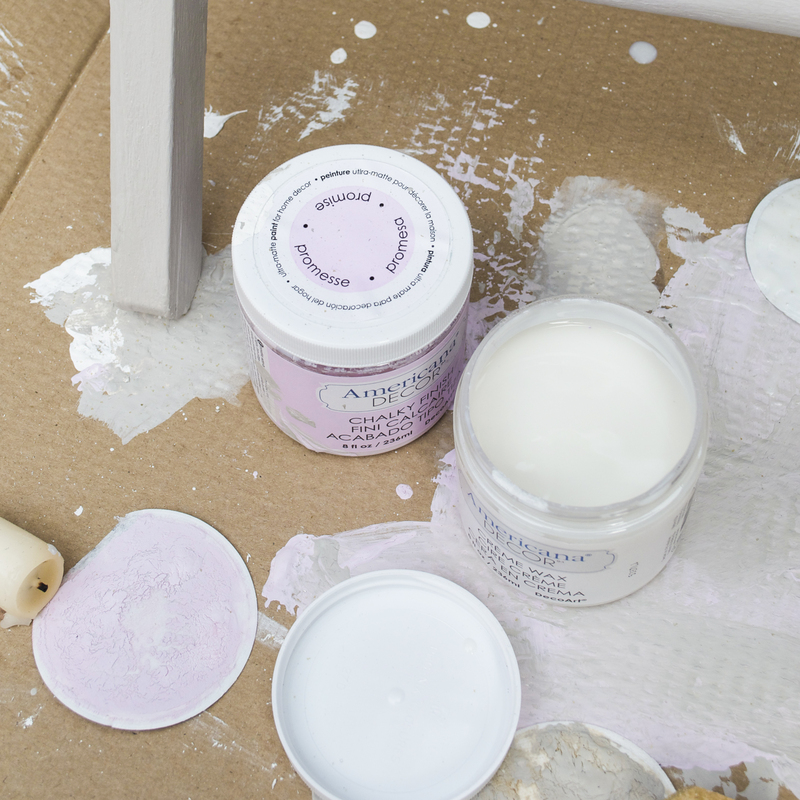 I recently got hold of some really rather lovely Chalky Finish paint from Americana Decor. 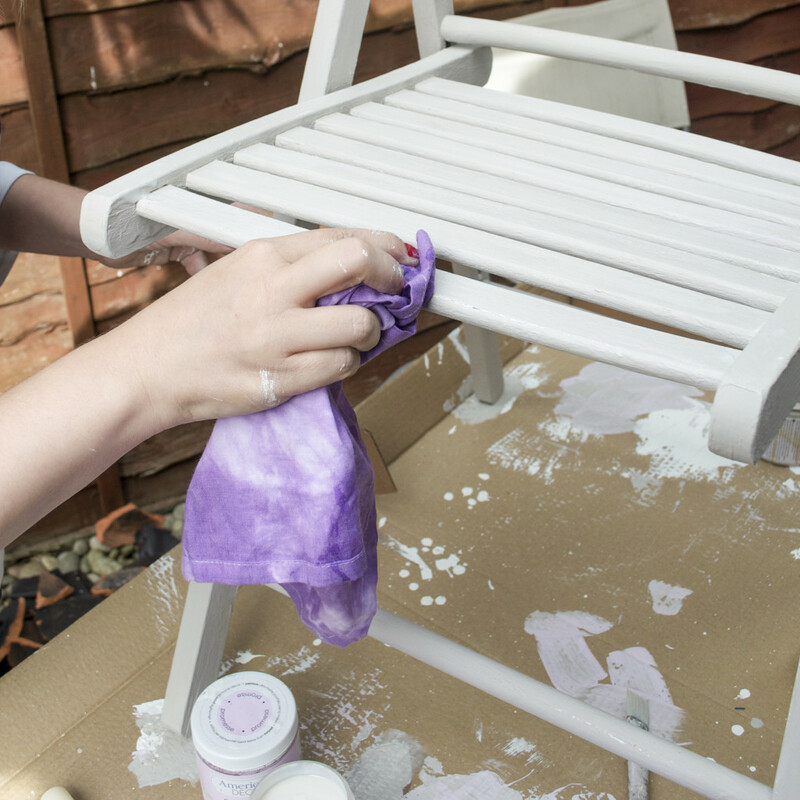 It’s a matte chalk paint that doesn’t need priming or wood to be sanded down before using – perfect to upgrade an old piece of furniture when you’re short on time (or perhaps just a little lazy). 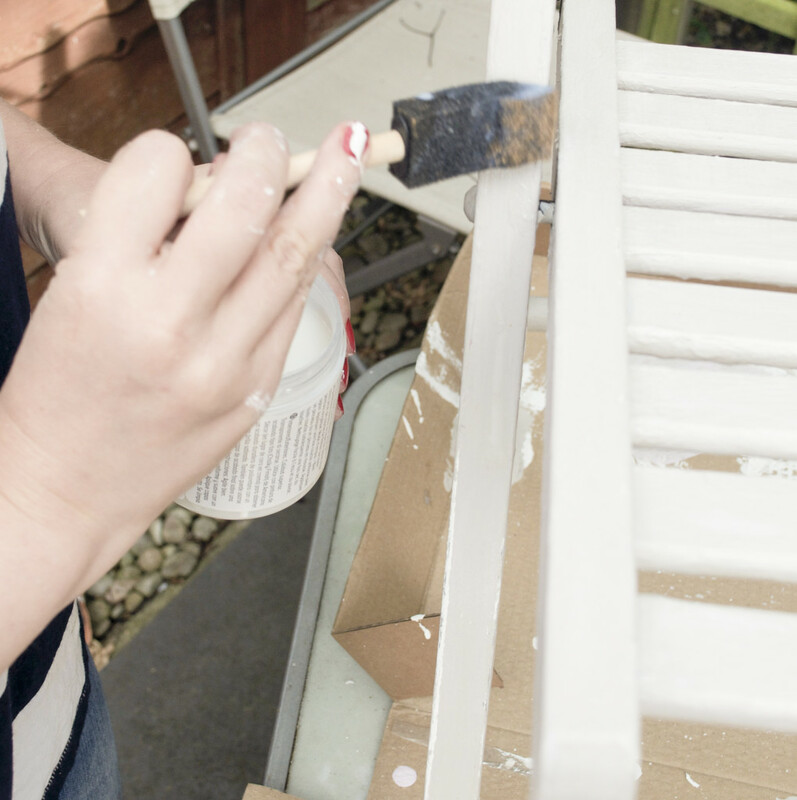 To protect the surface the quick-drying paint is finished with a choice of waxes and varnishes. It really was so simple to apply. 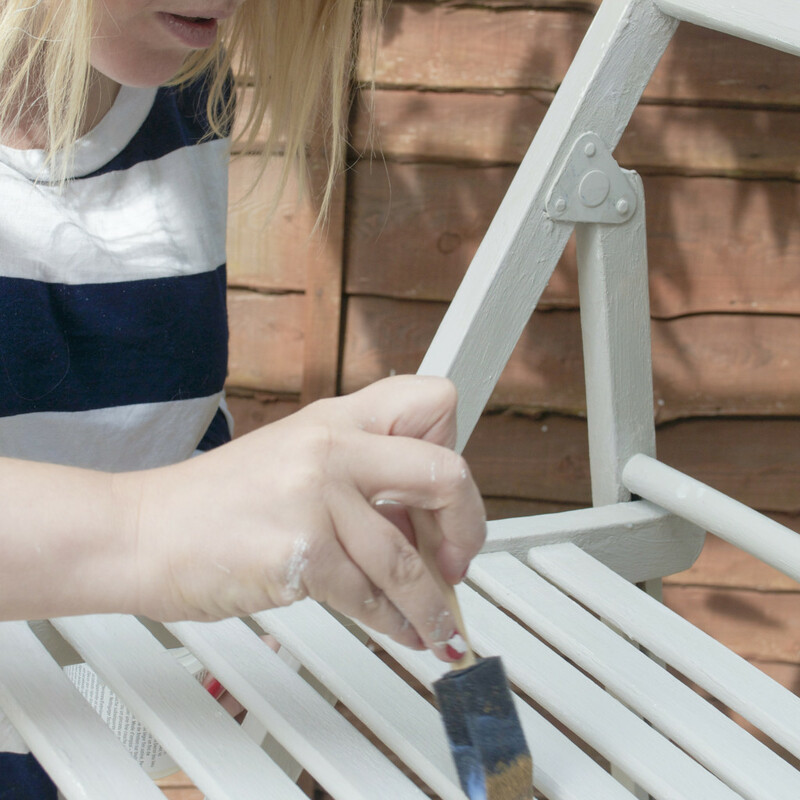 The chair was finished in less than a couple of hours– which left me free to enjoy the late-afternoon sunshine.